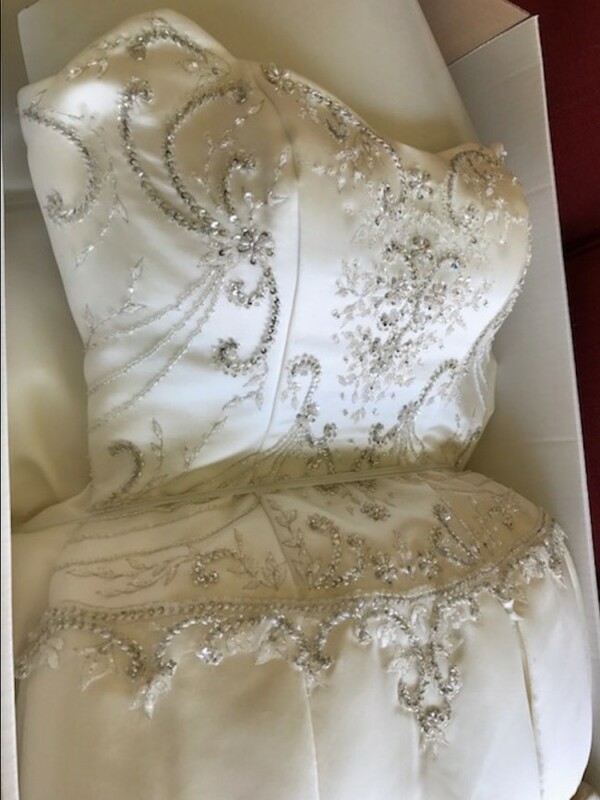 Gorgeous USED ONCE Dere Kiang gown that has been CLEANED and PRESERVED already. Comes with detachable train. Can be worn with or without hoop, depending on the desired look.